Wow, what a great ski season we had! I got 48 days total and AiRung got a record 40 days. I remember a period of several weeks where it seems like we grabbed our powder skis every time we went out — always a good thing to have to do! We made good progress toward the project with 8 new resorts skied, putting us at 54 resorts completed. The great snow in Tahoe gave us plenty of opportunity to ski locally this year, but we had a plan to ski 8 new resorts for the project which we followed through on. We had purchased our Mountain Collective pass in Spring 2015 in preparation. In December we skied A-Basin and Keystone on our pre-Christmas trip. A-Basin was one of those surprise happy moments that sometimes happen when we find we are much happier at the smaller resort than we are at the mega resort choices nearby. Both the flights in and out of Denver were seriously delayed due to snowfall, and we are glad we only need to fly into Denver about one more time to complete the project resorts nearby. We’ve been burnt by Denver too many times. After Christmas we drove to McCall, Boise, and Ketchum Idaho to ski Brundage, Bogus Basin, and Sun Valley. Once again we hit powder and some of the best skiing in years at these awesome locations. Brundage and Bogus were new resorts for us and we were really pleasantly surprised by Bogus Basin. Sun Valley is the prize though and we always love skiing there. Next up on our busy schedule were Taos and Wolf Creek in mid January. We just missed powder at these resorts, but even though we didn’t know it at the time, these were some of the best conditions of the year at Taos because after a very strong start in Northern New Mexico, it snowed very little after that in spite of the fact that it was an El Nino year. Every weather prediction was for great snow in New Mexico later in the season but we gambled on the earlier dates and won that one. 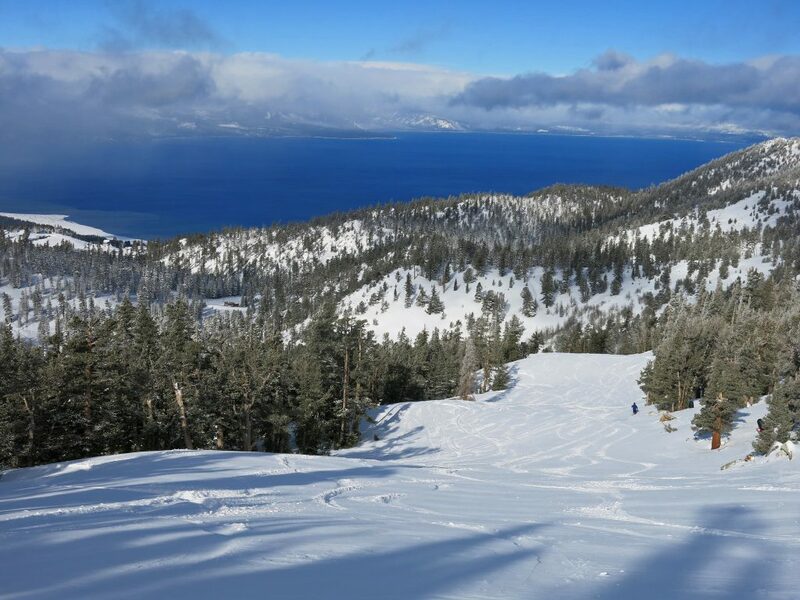 January was very good to Tahoe and we finally got to ski Heavenly when all 4,800 acres are open, skiable, and completely covered after about 4 years of below average snowfall. 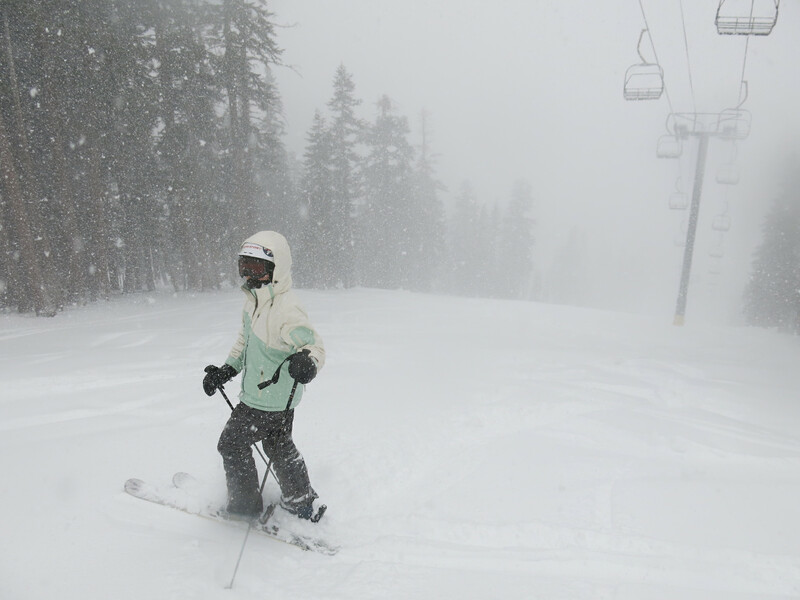 Heavenly ended up right at the average of 360″ by closing day. One of the days we skied with AiRung’s family from Taiwan was one of the best days ever there with endless soft lines in the trees and cold temps. 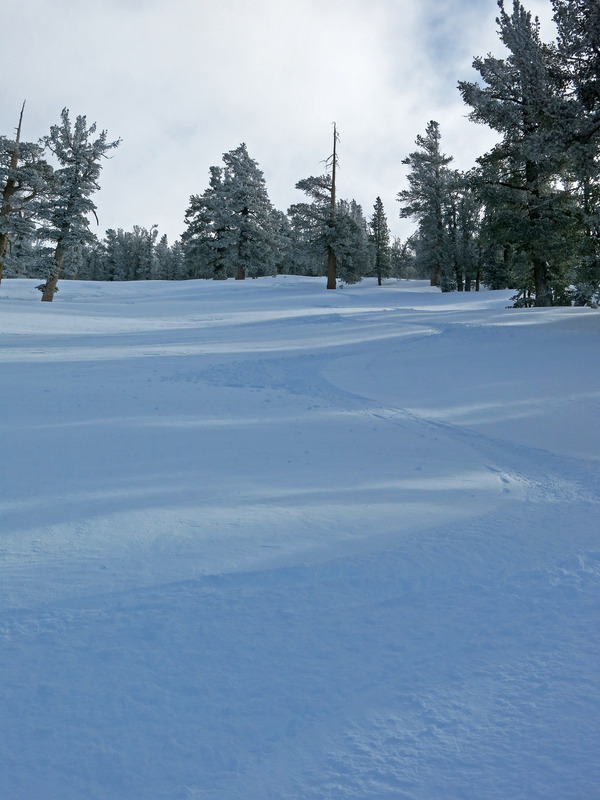 Late January took us to our last California resort we hadn’t skied: China Peak. This is a very modest area and almost didn’t make the cut, but we had a blast there and will definitely go back some day. February was dry in the West, so we weren’t so lucky on our early March trip to Aspen, where we skied Aspen Mountain, Aspen Highlands, and Snowmass. It hadn’t really snowed for almost 40 days in Colorado so conditions were hard and temps were spring-like until the last day when things turned colder and snowy. 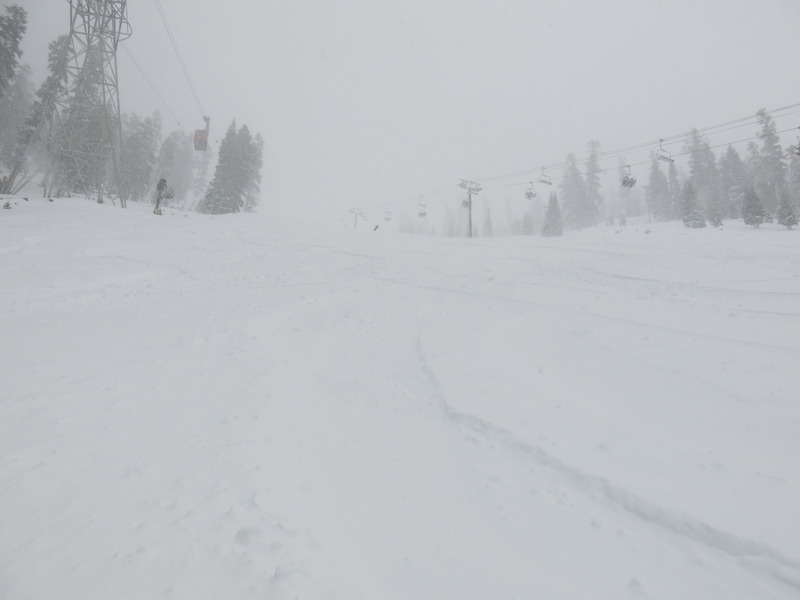 We must have brought the powder with us from California and got a good last powder day at Snowmass. The snow didn’t impact our flight, but we got to sit on the runway for a long delay due to a young woman choking on a peanut (seriously!). Can’t win and this points out the frustration we have with winter flying. That’s really the hardest part of the project and we wish we could just drive, but that’s not practical on our time schedule and due to the long distances involved as the close resorts are picked off. The season ended strong with good conditions into late April in Tahoe. My last day of skiing was May 14th, with good coverage at Squaw Valley. Can’t wait for Fall when the snow starts falling again! This entry was posted in Uncategorized on June 7, 2016 by Ron Thompson.